(top, left to right) Sebastian Stan, Gary Cole, Thomas MIddleditch, Melissa Rauch and Haley Lu Richardson star in THE BRONZE. ©Sony Pictures Classics. CR: Alicia Gbur. As Hope, she’s arrogant, foul-mouthed and unlikeable. A washed up world-class gymnastics bronze medalist, Hope must come to terms with another local up-and-coming gymnastic star (Haley Lu Richardson) who threatens her long-standing celebrity status in Ohio. Bryan Buckley directs the comedy c-written by Melissa’s husband Winston Rauch. The irreverent comedy from Sony Pictures Home Entertainment, which opened last year’s Sundance Film Festival, also features Gary Cole (“Office Space”), Thomas Middleditch (“The Final Girls”), Sebastian Stan (“Captain America: The Winter Soldier”), Cecily Strong (“Ghostbusters”) and Haley Lu Richardson (Freeform’s “Ravenswood”), with cameos from 1996 U.S. Olympics Gold medal winners Dominique Dawes and Dominique Moceanu, as well as Russian Olympics Gold medalist Olga Korbut. The Blu-ray, DVD & Digital releases of “The Bronze” includes deleted scenes. The truth behind a war photographer’s mysterious death is revealed in the powerful drama “Louder Than Bombs,” debuting on DVD Tuesday Aug. 2, from Sony Pictures Home Entertainment. Academy Award nominee Jesse Eisenberg (“The Social Network”), Gabriel Byrne (“The Usual Suspects”) and Devin Druid (Netflix’s “House of Cards”) star as family members coming to terms with conflicting memories and new revelations about the life and passing of their mother and wife, a renowned photographer played by Isabelle Huppert (“The Piano Teacher”). Directed by Norwegian filmmaker Joachim Trier (“Reprise”) and co-starring Academy Award nominees Amy Ryan (“Gone Baby Gone”) and David Strathairn (“Good Night, and Good Luck”), “Louder Than Bombs” was released theatrically by The Orchard earlier this year. The film arrives on DVD with a director’s commentary, a behind-the-scenes featurette and photo gallery. It also is available On Demand. Experience the action, history and romance of “Guernica,” available on DVD and Digital Tuesday Aug. 2, from Sony Pictures Home Entertainment. Directed by award-winning Spanish filmmaker Koldo Serra (“Bosque de sombras”), this epic war drama stars James D’Arcy (“Cloud Atlas”) as Henry, an American news correspondent living in 1930’s Spain. When the Basque village of Guernica comes under attack by Hitler’s Condor Legion, Henry’s fate become inextricably linked with a local government official, played by María Valverde (“Exodus: Gods and Kings”). Co-starring Jack Davenport (“Kingsman: The Secret Service”), Burn Gorman (“The Dark Knight Rises”) and Ingrid García-Jonsson (“Beautiful Youth”), “Guernica” was shot on location in Spain and brings to the screen the tragic events immortalized in one of Pablo Picasso’s most famous works. The DVD and Digital includes exclusive deleted and extended scenes. Embark on an inspirational journey of faith in the biblical epic “Peter—The Redemption,”arriving on DVD and Digital HD Tuesday Aug. 2 from Cinedigm. Emmy-nominated actor John Rhys-Davies (“The Lord of the Rings” franchise) and Stephen Baldwin (“Faith of Our Fathers”) star in this timeless tale. The faith-based film retells the biblical narrative of the Apostle Peter during the first Christian persecution. In the wake of Jesus Christ’s execution, Peter (Rhys-Davies) is tormented by his denial and he spends his remaining years attempting to atone for his failures. His true devotion as a witness for the Lord is tested yet again in his later years as he faces certain death at the hand of the cruel Roman Emperor Nero (Baldwin). The drama also stars Steve Byers (“Smallville”), which is directed by Leif Bristow (“Joseph & Mary”) and written by John Patus (“Left Behind”). The sci-fi action comedy “Lazer Team” will be released on DVD Tuesday Aug. 2. From the creators of the popular award-winning animated web series “Red vs. Blue,” the film marks the feature film debut for entertainment company Rooster Teeth. Directed by Matt Hullum and written by Burnie Burns, Chris Demarais, Joshua Flanagan and Matt Hullum, “Lazer Team” stars Burns (“Red vs. Blue,”), Gavin Free (“The Slow Mo Guys”), Michael Jones (“RWBY”), Colton Dunn (“Superstore”), Allie DeBerry (“A.N.T. Farm”) and features Alan Ritchson (“Teenage Mutant Ninja Turtles”). When four small-town losers stumble across an alien crash site containing a mysterious battle suit, they soon find themselves responsible for the fate of the planet. With this new alien equipment genetically bound to them, and the government hot on their heels, the foursome have no choice but to work together in order to save humanity. All they have to do is learn to use a strange alien device meant for only one person, train for a battle against an omnipotent enemy, and not kill each other in the process. They may not be strong, smart, or talented, but they’re Lazer Team. The comedy, from Anchor Bay Entertainment, made its debut at Fantastic Fest in 2015 followed by a run at Toronto After Dark. It was released theatrically in January before becoming available on streaming video on demand as a launch title for YouTube Red in February. “Lazer Team” will retail for $22.98 SRP. Special features include deleted and extended scenes, bloopers and a visual effects breakdown. From HBO comes Emmy-nominated “Confirmation,” available Tuesday Aug. 2 on DVD and Blu-ray, both with Digital HD. The drama details the explosive Clarence Thomas Supreme Court nomination hearings, which brought the country to a standstill and forever changed the way we think about sexual harassment, victims’ rights and modern-day race relations. It looks behind the curtain of Washington politics, depicting a pivotal moment in American culture that became a turning point in workplace equality and gender politics. The HBO Film has been nominated for two Emmy Award, including a nod for Kerry Washington, who plays Thomas’ accuser Anita Hill. In July 1991, President George H.W. Bush nominated Judge Thomas to fill Justice Thurgood Marshall’s seat on the U.S. Supreme Court. In October, during the final days of Thomas’ confirmation hearings before the Senate Judiciary Committee, the news broke that one of Thomas’ former employees, law professor Hill, had accused him of sexually harassing her 10 years earlier. These revelations triggered a maelstrom of events, with both Hill and Thomas testifying about the allegations before a stunned and riveted television audience. The drama, which aired on HBO in April, also stars Wendell Pierce (HBO’s “Treme” and “The Wire”) as Thomas, along with Greg Kinnear (“As Good as It Gets”), Jeffrey Wright (HBO’s “Angels in America”), Eric Stonestreet (ABC’s “Modern Family”) and Oscar winner Jennifer Hudson (“Dreamgirls”). The film was written by Susannah Grant (“Erin Brockovich”) and directed by Rick Famuyiwa (“Dope”). The Blu-ray and DVD editions each include brief discussions with Washington and Pierce on the historical impact of the hearings as well as a “Character Spot” featuring cast members discussing the character they play. NBC’s top-rated drama “The Blacklist: The Complete Third Season” comes to Blu-ray and DVD when Sony Pictures Home Entertainment releases it on Tuesday Aug. 2. 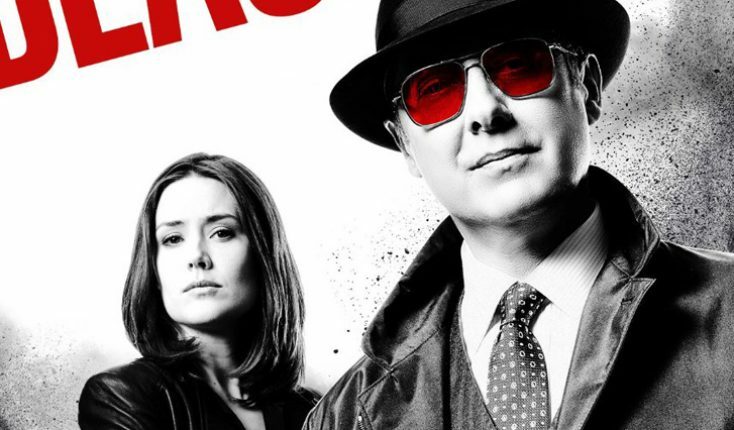 Three-time Emmy winner James Spader (ABC’s “The Practice”) returns as Raymond “Red” Reddington on this popular crime series. Season 3 takes a sharp turn when Red and Agent Keen, played by Megan Boone (NBC’s “Law & Order: Los Angeles”), become fugitives. With Assistant FBI Director Harold Cooper (Harry Lennix, “Man of Steel”) under investigation, Agent Donald Ressler (Diego Klattenhoff, Showtime’s “Homeland”) leads the FBI Task Force on the manhunt. As Keen delves deeper into Red’s underworld of covert operations, she also continues to struggle with self-discovery and her indefinable relationship with Tom (Ryan Eggold, Fox’s “90210”). Both Red and Keen are radically challenged personally and professionally as they work together to answer questions and escape from those who hunt them. The ensemble cast also includes Amir Arison (HBO’s “Girls”), Mozhan Marnò (Netflix’s “House of Cards”) and Hisham Tawfiq (NBC’s “Kings”). All 23 episodes are included on the Blu-ray and DVD editions. Special features exclusive to the Blu-ray include episode commentaries, deleted and extended scenes and featurettes including “From the Shadows: Villains of Season 3” and “Creating The Stunts: Script to Screen.” Featurettes included on both formats include “Outside the Box: Making ‘The Blacklist’ Comic Book,” “All About Aram” and “Red’s Gems: Favorite Lines From Season 3.” The third season features notable guest stars Tony Shalhoub (USA Network’s “Monk”), Leslie Jones (“Ghostbusters”), Golden Globe winner Brian Dennehy (Showtime’s “Death of a Salesman”), Famke Janssen (“X-Men” franchise), Murphy Guyer (NBC’s “Law & Order”) and Margarita Levieva (ABC’s “Revenge”). Debuting on DVD and Blu-ray Tuesday Aug. 2 is the newest season of the award-winning and hugely popular Acorn and Ovation channel period mystery series “Murdoch Mysteries: Season 9” (a.k.a. “The Artful Detective”). One episode includes a guest turn from “Star Trek’s” William Shatner as Mark Twain. This acclaimed Canadian series returns with new mysteries set in Edwardian-era Toronto. Inspired by Maureen Jennings’ novels, Murdoch Mysteries airs in the U.S. on Emmy-nominated streaming service Acorn TV and on Ovation as The Artful Detective. In Season 9, Detective William Murdoch (Yannick Bisson) and his wife, Dr. Julia Ogden (Hélène Joy, “Durham County”), plan their dream home; Constable Crabtree (Jonny Harris, “Matching & Dispatching”) faces dire consequences for his decisions; and Dr. Emily Grace (Georgina Reilly, “The L.A. Complex”) experiences a personal crisis. Meanwhile, Inspector Brackenreid (Thomas Craig, “Where the Heart Is”) endures an eccentric houseguest, and a new morgue cleaner-turned-lab attendant (Mouna Traoré, “Carrie”) brings fresh blood to the team. While battling criminals, Murdoch and his friends encounter historical figures including “Anne of Green Gables” author Lucy Maud Montgomery, temperance advocate Carrie Nation and American humorist Mark Twain (Shatner). The five-disc DVD set and the four-disc Blu-ray set each feature 18 episodes along with bonus “Making Murdoch” featurettes and a photo gallery ($59.99 SRP each, AcornOnline.com). Also on Aug. 2, Acorn is releasing the Murdoch Mysteries: Seasons 5-8 Collection on DVD and Blu-ray ($149.99 each). The groundbreaking, highly acclaimed historical medical series “The Knick: The Complete Second Season,” from Cinemax arrives Tuesday Aug. 2 on Blu-ray DVD, both with Digital HD. From executive producer Steven Soderbergh (who directed all 10 episodes), and starring Clive Owen (in a Golden Globe-nominated performance) as brilliant surgeon John Thackery, the series pushes the boundaries of medicine, morality and race relations in 1900 at a downtown New York City hospital known as The Knick. In the second season, The Knick faces an upheaval as Dr. John Thackery’s absence (due to his hospitalization for cocaine addiction), a dearth of affluent patients and financial missteps have led to the board’s decision to shutter the hospital in favor of a new building uptown. In this world of corruption, invention and progress, everyone is searching for the new path that will help him or her survive. Whether it’s a path toward justice, freedom, love or just plain survival, nothing comes easy. As relocation plans proceed, the gifted but under-appreciated Dr. Algernon Edwards (Andre Holland) jockeys to become Thackery’s successor as chief of surgery, while fellow doctors, nurses, nuns and administrators grapple with challenges at work and in their private lives. The box set include many features include a look at the creation of the realistic prosthetics created by make-up effects department head Justin Raleigh and his team, a walking tour of the new Knick under construction with production designer Howard Cummings; “Inside the Costume Shop,” with costume designer Ellen Mirojnick along with actors Holland and Juliet Rylance (who plays socialite and Knick board member Cornelia Robertson), a behind-the-scenes look at how the elaborate ball scene was created in episode 7, vignettes, recaps, three audio commentaries with cast and crew and more. The Complete First Season of NBC’s espionage drama “Blindspot” arrives Tuesday Aug. 2 on Blu-ray and DVD. The critically acclaimed series centers on a beautiful mysterious woman (Jaimie Alexander, “Agents of Shield”) found naked in Times Square. Her body is completely covered in cryptic tattoos. With no memories of her past, and clueless about her identity, this Jane Doe ignites the attention of the FBI, when one of the images bears the name of agent Kurt Weller (Sullivan Stapleton, “300: Rise of an Empire”). As Weller and his team investigate the woman’s mysterious tats, they are drawn in to a high stakes underworld of twist and turns as well as secrets and revelations. Their discoveries may change the world. “Blindspot: The Complete First Season” includes many bonuses including a behind-the-scenes featurette, 19 deleted scenes, a gag reel, a commentary on the pilot episode and more. The DVD is available for $49.99 SRP and the Blu-ray edition (which includes an UltraViolet digital copy) is available for $54.97 SRP. Get ready for panda fun with the family-friendly “The Adventures of Panda Warrior,” arriving on DVD, Digital HD and On Demand Tuesday Aug. 2 from Lionsgate. Rob Schneider (“Norm of the North”), Haylie Duff (“Napoleon Dynamite”), Norm MacDonald (“Grown Ups”), Lauren Elizabeth (YouTube’s “LoLuFullyLoaded”) and Tom Kenny (Nickelodeon’s “SpongeBob SquarePants”) round out the all-star voice cast of brave warriors on a quest to save their kingdom. Awarded the Dove Family Seal of Approval, the animated DVD will be available for the suggested retail price of $19.98. When Patrick (Schneider), a peaceful soldier from ancient China, is magically transported to Merryland and turned into a Panda, he must join forces with Peggy the flying pig (Elizabeth), GoGo the daring goat (Duff), and King Leo the courageous lion (MacDonald) in order to free the once-peaceful world from the tyranny of the evil nine-headed snake that has enslaved them. Extras include a featurette showing the voice actors in the recording studio and award-winning minuscule bonus episodes. More animation adventures are in store with “Peppa Pig Sunny Vacation,” arriving on DVD Tuesday Aug. 2 from Twentieth Century Fox Home Entertainment and Entertainment One. Celebrate the summer as Peppa, George, Mummy Pig and Daddy Pig head out for a Sunny Vacation abroad. Peppa is enjoying all of the sights and sounds of Italy, but she also misses her friends back home. Kids and parents alike will love the four-part sunny special with eight additional fun-filled Peppa-sodes. Front Row Features wants to make you feel like a real champion. In honor of “The Bronze’s” home video release, we’re giving away Hope’s Olympic Home Viewing Kit to one lucky reader. The kit includes a cool “Bronze” duffel bag, a copy of “The Bronze” on DVD, a reusable “Bronze” cup with a lid and straw and a couple of individual-sized bags of chips to snack on while watching the film. To enter, simply email socalmovieeditor@aol.com by Aug. 9 for your chance to win. Good luck!